Renowned optical systems manufacturer Zeiss just stroke a deal with HMD Global that will lead to a hopefully-fruitful collaboration between the two companies and will endow future Nokia smartphones with Zeiss cameras, imaging technology, and decades' worth of photography know-how. The new long-term agreement is sort of rekindling the collaboration between Zeiss and Nokia from more than a decade ago, which was the culprit for the camera prowess of the N-series of smartphones, the PureView lineup of Windows-running handsets, most notably the Nokia Lumia 1020. There's no mention of how long the new deal between Zeiss and HMD Global/Nokia will last, but it's said that it will be a long-term one. It's not entirely clear and written in stone to what extent Zeiss will be responsible for the camera capabilities of future Nokia phones, but it could very well be at the helm of the whole camera package, including the sensor, the software algorithms, the DSP, and the camera itself. That's great news, given Zeiss' experience in the field. “Collaborating with ZEISS is an important part of our commitment to always deliver the very best experience for our customers. Our fans want more than a great smartphone camera, they want a complete imaging experience that doesn’t just set the standard but redefines it. Our fans expect it and, together with ZEISS, we’re delivering it – co-developed imaging excellence for all,” said Arto Numella, CEO of HMD Global. While we are not sure when the first Nokia handset with Zeiss camera know-how will hit the streets, the company itself could have teased the device itself. A video posted on Twitter to announce the new partnership seems to be hinting at the existence of a 4th Nokia smartphone, one with a dual camera at that. Given that Nokia currently has three phones in the portfolio—the Nokia 3, 5, and 6—it can be speculated that the mysterious 4th handset is none other than the rumored true flagship of HMD Global, the Nokia 9. We've already heard that it might feature a dual camera, so the new collab between the two companies is perfectly fitting with the rumors. You can read more about the Nokia 9 in our extensive and detailed rumor round-up. But he is not asking for 41MP alone. LOLS. Where is your reading comprehension? I guess you do not know the technology behind the 41MP! In this case the 41MP was everything along side huge the sensor! Nokia's megapixel meant for oversampling, 41mp image are over sampled to 5mp images to increase quality, even today phone like google pixel and last year flagships could not beat lumia 1020 and nokia 808 from 2013/2012, that shows you how superior that tech is. Clearly you haven't use Lumia 1020 !! 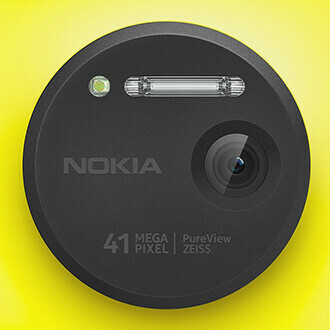 An Updated and powerful new Nokia 1020 with f1.7 is everything we need. Have u seeing the latest images of the nokia 8 (now known as nokia 9)? God, that is just downright incredible. It even has an iris scanner, dual cameras (vertically aligned ones) and 8 gigs ram. PA, just do something bout it ffs!!! Your name fits your comment, slightly amused by that. Amazing video with such a great marketing stunt. The legend monster is coming back very soon. Impatiently waiting for Nokia's flagship. I hope we can see the next PureView generation. + f/1.7 (Maybe I prefer 36mp (cropping and oversampling). bring it on nokia. let's see how bad you're crushed by Samsung this time. ^ Don't get ahead of yourself... already. You're obviously forgetting how Nokia was much larger than Samsung (concerning smartphones and feature phones) and was the dominant handset maker with their handsets over every other handset maker, including Samsung, for many years before Elop destroyed them from within. But don't let the facts get in the way of idol worshipping. Carry on. This is incredible news. I can't wait to get my hands on a Nokia flagship with those Zeiss optics! Makes me nostalgic for Symbian powered smartphones like the Nokia N8, 808, N95, N96....the former king is gearing up for its next dominant run, IMO. Shoot i still have my Lumia 1020 and I'm taking it with me on vacation alongside my LG V20 and Sony a6000. I got all my bases covered. If Nokia releases a non exclusive flagship, I will be all over it.